Texto do site http://blogs.kqed.org de 25 de junho de 2014. When searching for toys for their kids at chain toy stores, parents typically encounter the following scenario: toy aisles are color-coded pink and blue. They shouldn’t bother looking for LEGOS, blocks, and trucks in the pink aisle, and they certainly won’t find baby dolls in the blue aisle. While parents, researchers, and educators decry the lack of STEM toys for girls — and rightly so — what often goes unnoticed is that assigning genders to toys harms boys, as well. Too often children’s playrooms reinforce gender stereotypes that put boys at risk of failing to gain skills critical for success in life and work. The most important of these? Empathy. Meg Bear, Group Vice President of Oracle’s Social Cloud, calls empathy “the critical 21st century skill.” She believes it’s the “difference between good and great” when it comes to personal and professional success. Researchers at Greater Good Science Center out of the University of California, Berkeley, echo Bear’s assertion. They define empathy as “the ability to sense other people’s emotions, coupled with the ability to imagine what someone else might be thinking or feeling. Why is empathy important? First, empathy breeds courage. In a recent study of nearly 900 youth, ages 11-13, Nicola Abbott and Lindsey Cameron’s, psychology researchers at University of Kent, found that participants with higher levels of empathy were more likely to engage in “assertive bystander behavior.” In other words, they were willing to stand up to a bully on behalf of someone outside their peer group. This kind of courage can be life changing for a victim of bullying and prevent the damaging effects of social isolation and exclusion that often lead to anxiety and depression. Empathy also yields happiness. People with empathy have stronger interpersonal connections and are more eager to collaborate, effectively negotiate, demonstrate compassion, and offer support. They’re team players, and employers recognize this. 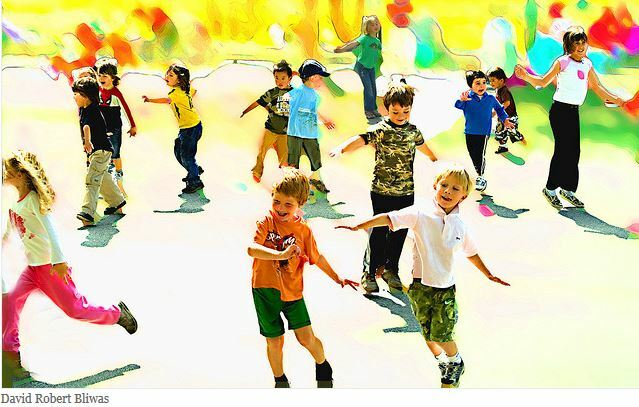 So important has this skill become that a research team in England, after engaging in a six-month review of its schools, submitted a report that placed empathy in the top three of important outcomes for its students. Similarly, employers, when asked to compile a list of the “20 People Skills You Need to Succeed at Work,” placed it fifth. Empathy drives thoughtful problem solving. Empathic problem solvers put themselves in others’ shoes in a way that allows them to design life-saving baby warmers, easily collapsible baby strollers, and energy-saving car sharing services. In addition, they’re often willing to work with others to solve persistent and, at times, larger problems. Rather than hoarding their knowledge and expertise, they open themselves up to what Greg Satell calls cognitive collaboration, in order to serve patients, clients, students, and even their respective fields, more effectively. It’s clear we need to cultivate empathy in all children, but gender stereotypes — often reinforced in playrooms — risk leaving boys, in particular, with a social deficit. Play with dolls. Parents will find that boys can be just as interested as girls in playing with dolls. Just watch little boys when they interact with an infant: they want to pat the baby’s head and see the little toes, and their faces show distress when that baby starts to cry. Recognizing the importance of young children’s interactions with babies for building social skills, organizations like Roots of Empathy do just that. They bring babies into elementary school classrooms as part of their empathy building, evidence-based programs. Don’t have a baby at hand? Dolls allow young children to simulate dressing, feeding, calming and caring for babies – particularly if adults participate and model this care. For parents of boys, it’s worth a trip to the pink aisles to find one. Pretend play helps children self-regulate, develop a strong “theory of mind,” and integrate positive and negative emotions. When kids adopt different personas, they face dilemmas and solve problems “in character” – in essence, they’re taking empathy for a test drive. Play researcher Dorothy Singer, Senior Researcher at Yale University’s School of Medicine, contends that make believe helps children “be anyone they wish.” Through it, they “learn how to cope with feelings, how to bring the large, confusing world into a small, manageable size; and how to become socially adept as they share, take turns and cooperate with each other.” Parents can expand boy’s empathic skills through pretend play by blurring the traditional pink-blue boundary lines. Toy kitchens should co-exist with trucks, doll houses with action figures. Read together. Researchers have shown that reading fiction promotes empathy. Children’s book author and illustrator, Anne Dewdney, echoes that finding when she argues that, “When we open a book, and share our voice and imagination with a child, that child learns to see the world through someone else’s eyes.” Sadly, studies reveal that parents in the U.S., Canada, and Great Britain spend less time reading and telling stories to their sons than to their daughters. In fact, in as early as nine months, researchers found a gender gap in literary activities. To address this, turn to picture books as empathy primers. Together parents and boys can look at a character’s body language and facial expressions and then identify corresponding emotions. Parents can pause while reading to ask: How do you think that make her feel? How would that make you feel? What would help him feel better? Empathy, “an understanding that other people have feelings, and that those feelings count,” is a learned behavior. For boys, as for girls, that learning begins in infancy. As University of Wisconsin’s Carolyn Zahn-Waxler aptly notes, “There is no gene for empathy.” Parents play a key role in nurturing empathy, from explaining others’ feelings to encouraging prosocial behaviors with friends and siblings. Playroom toys and forms of play are equally important. Given all the benefits associated with empathy for success in life and work, it seems like now, more than ever, we need to mind the gap. Gayle Allen spent nearly two decades as a teacher, school leader, and founder of two professional development institutes. She holds an Ed.D. from Teachers College, Columbia University, where she focused her research on teacher learning. Gayle currently serves on the advisory board for BioBuilder Educational Foundation. She blogs at Connecting the Thoughts and tweets @GAllenTC. Deborah Farmer Kris has taught elementary, middle, and high school and served as a charter school administrator. She spent a decade as an associate at Boston University’s Center for the Advancement of Ethics and Character researching, writing, and consulting with schools. She is the mother of two young children. No mundo das histórias, tudo é possível! Os animais falam, as princesas tropeçam, os sapos transformam-se em príncipes e os reis têm dores de dentes. Há meninas que conseguem voar e meninos que não tiram os pés do chão; há palácios feitos de areia e flores cobertas de açúcar; há bruxas boazinhas e rainhas com cara de poucos amigos…. Diz o ditado que quem conta um conto, acrescenta-lhe um ponto. 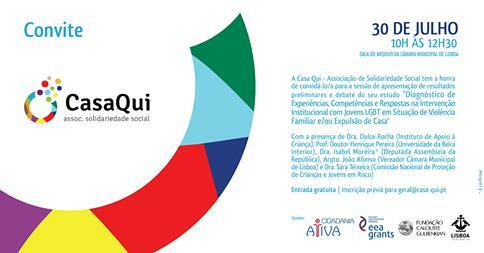 A Drª Dulce Rocha, Vice-Presidente do Instituto de Apoio à Criança, irá participar no debate sobre o Estudo “Diagnóstico de Experiências, Competências e Respostas na Intervenção Institucional com Jovens LGBT em Situação de Violência Familiar e/ou Expulsão de Casa” no dia 30 de julho de 2014 pelas 10.45 horas. Notícia do i de 14 de julho de 2014. 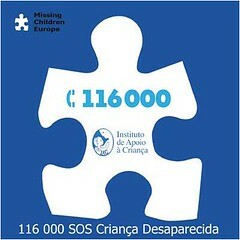 Cerca de 70% dos adolescentes internados nos centros de reinserção social já estavam previamente referenciados pelas comissões de protecção. 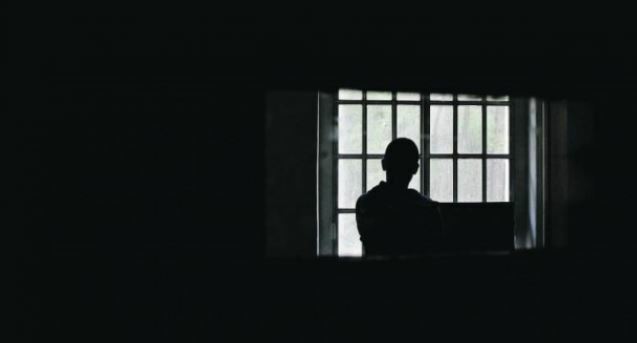 As autoridades já sabiam portanto da propensão destes jovens para o crime, mas “o sistema foi incapaz de os travar”, admitiu à Lusa a Direcção-Geral da Reinserção e Serviços Prisionais (DGRSP). Mais investimento na prevenção do que na repressão é o que defende Licínio Lima, subdirector da DGRSP, para inverter esse fenómeno. Os dados mais recentes indicam que nos sete centros do país estão internados 255 jovens considerados problemáticos, 89% rapazes e 11% raparigas. Julgados pelo Tribunal de Família e Menores, estes adolescentes vão para os centros educativos na sequência de actos que cometeram entre os 12 e os 16 anos. “O Estado investe em média 100 euros por dia em cada jovem que comete crime”, sendo que “um recluso, em média, custa 50 euros por dia”, contou Licínio Lima, explicando que a diferença entre o custo de um jovem nos centros de reinserção social e um recluso num sistema prisional prende-se com o facto de “o recluso não ser obrigado a andar na escola, enquanto os jovens dos centros educativos estão na escola”. Nos centros educativos, os jovens têm “educação, formação profissional, acompanhamento, segurança, vigilância, alimentação, têm tudo”, assegurou o subdirector da Direcção-Geral da Reinserção e Serviços prisionais. E, para alguns, no final de cumprirem a pena, falta a integração na comunidade, o que os leva, muitas vezes, a regressar ao crime. O último relatório da DGRSV aos jovens que saíram em 2013 das instituições, feito telefonicamente seis meses após a saída, revelou que 7% voltou a cometer crimes. 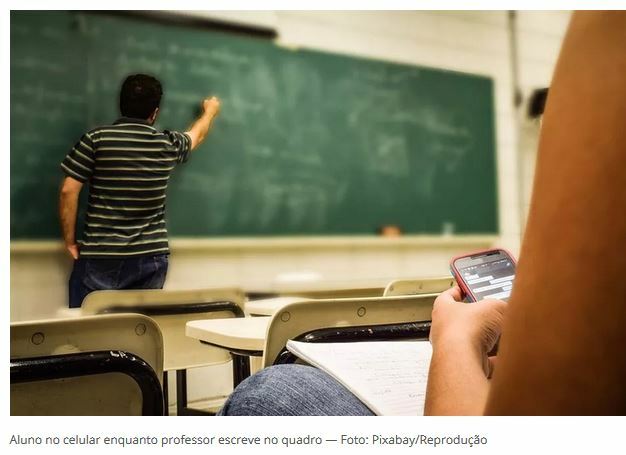 Em risco de reincidência, encontravam-se cerca de 47% dos jovens, “sem estarem a estudar, a frequentar um curso de formação profissional ou a trabalhar”. A falta de ocupação “é o primeiro passo para a delinquência”, sublinhou o subdirector da DGRSP. Quanto às condições dos actuais centros educativos, Licínio Lima admitiu que estão “no limite da lotação”. Para colmatar o problema de sobrelotação, estão a ser feitas obras em algumas instituições. Licínio Lima deixou, no entanto, um alerta para a possibilidade dos problemas de lotação dos centros educativos de reinserção social se agravarem com a proposta de alteração da Lei Tutelar Educativa. “Se formos a punir todos os actos ilícitos dos miúdos, o sistema pode colapsar”, avisou. No Centro Educativo Navarro de Paiva (CENP), em São Domingos de Benfica, Lisboa, uma das sete instituições do país com este fim, estão 43 jovens, condenados pelo Tribunal de Família e Menores à medida mais gravosa da Lei Tutelar Educativa para os que cometeram actos ilícitos entre os 12 e os 16 anos. A maioria dos jovens é oriunda de “bairros sociais, famílias desestruturadas ou com problemas económicos, em que a falta de estabilidade e de afecto” os conduziu à “má vida”, caracteriza, o subdirector da Direcção-Geral da Reinserção e Serviços Prisionais. 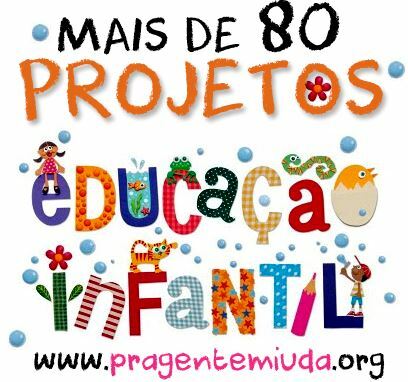 artigo da Pais & Filhos de 7 de maio de 2014. Os medos na infância são tão comuns quanto importantes para o desenvolvimento. Vão variando consoante a idade, mas todos requerem confiança e segurança. Porque a única fórmula para os resolver é conseguir enfrentá-los. O Rodrigo tem dois sprays anti-monstros no quarto, um em cima da mesa-de-cabeceira, não vá ser preciso atuar durante a noite, e outro no móvel dos brinquedos, para ter a certeza de que não é apanhado desprevenido enquanto brinca. Todas as noites, antes de ir para a cama, a mãe acompanha-o na ronda em busca de seres assustadores debaixo da cama, dentro do guarda-fatos, atrás do cortinado… Sempre com o spray mágico na mão. Só se deita depois de se certificar que não há nenhum monstro escondido. A mãe fica no quarto até ele adormecer e a luz de presença fica acesa a noite inteira. À falta de uma solução melhor, a mãe do Rodrigo, de cinco anos, resolveu munir o filho de uma ferramenta implacável contra os monstros imaginários que lhe causam tanto medo e que tornavam a hora de deitar num suplício. Inspirou-se nas ideias que encontrou na internet, agarrou num vaporizador vazio, enche-o de água, colou um rótulo apropriado a um produto anti-monstros e disse-lhe que agora já não precisava de ter medo: se aparecesse algum monstro, bastava usar o seu spray mágico! A ideia agradou-lhe e, embora ainda com algum receio, a ida para a cama assumiu contornos de brincadeira e tornou-se muito mais fácil. Ao mesmo tempo, a inspeção exaustiva ao quarto permite-lhe enfrentar o medo e verificar que, afinal, ali não há monstros. No apartamento em frente ao de Catarina, três anos, vive uma família simpática, com duas filhas pequenas, com quem a menina brincava, tardes a fio… até que ao agregado familiar vizinho se juntou um cão. Minúsculo, enérgico e meigo, que procurava apenas festas e colo. Mas, para Catarina, aquele é um ser demasiado assustador, que a deixa em pânico e sem saber onde se esconder. Deixou de visitar as amigas e tem pavor de se cruzar com o cão à porta de casa. “Sempre que saímos de casa, a Catarina esconde-se atrás do sofá e obriga-me a verificar se o Óscar não está no hall. Só quando tem a certeza de que ele não está é que sai disparada, entra no elevador e implora-me que me despache a fechar a porta de casa e do elevador. Se demoro mais do que um minuto, desata aos gritos e a tremer, com medo que ele apareça. É inexplicável”, conta a mãe, sublinhando que Catarina nunca foi mordida por nenhum cão, nem passou por qualquer episódio traumático com animais. A mãe já lhe explicou que o Óscar é um bom cão, é inofensivo e só quer ser amigo dela, mas Catarina encolhe-se só de ouvir falar nele. Se, por azar, se cruzam à entrada do prédio, Catarina trepa pela mãe acima, esconde a cara no seu pescoço e grita como se estivesse a ser atacada por um monstro. “É irracional e já não sei o que fazer para que ela perca este pânico. Evito a todo o custo que se cruzem, mas às vezes acontece… e é terrível”. A criatividade e a brincadeira podem ser fortes aliadas na luta contra os medos. “No que toca ao medo do escuro, de fantasmas, monstros, bruxas diabólicas, por exemplo, sugiro aos pais que, em conjunto com os filhos, tornem esse medo concreto, lhe deem um nome, uma cara, um tamanho, um peso, enfim, que lhe deem uma identidade e o coloquem no contexto real, fora da imaginação da criança, pois aí já poderão vê-lo, falar com ele, tocá-lo, construir histórias e chegar a finais felizes”, sugere a Daniela Sciaccaluga, referindo que “essas histórias podem ser de variadíssimas índoles: um jogo de futebol contra o medo, uma aventura em que o João fica amigo do monstro ao salvar o seu gatinho, a história do fantasma que afinal tinha era medo do João… Enfim, as possibilidades são infinitas, mas a ideia base é retirar o poder da bruxa, do monstro, do fantasma, do escuro ao humanizá-los e torná-los próximos da família, logo, num lugar concreto e controlável, sempre num contexto humorizado, divertido e descontraído”. Estes medos irracionais e desproporcionados podem ser acompanhados de sintomas físicos (dificuldade em respirar, palpitações, suores, vómitos, diarreia, dores de estômago), sintomas cognitivos (preocupações excessivas, dificuldade de concentração), alterações de humor (irritabilidade) e variações no sono (pesadelos). Implicam por isso uma abordagem e acompanhamento profissional especializado. “Se for um episódio isolado, os pais não devem torná-lo mais significativo do que é, mas se surge um padrão que é persistente e muito intenso, devem tomar uma atitude, porque se não procuram ajuda, a fobia continuará a afetar a criança com consequências graves no seu processo de desenvolvimento e de socialização”, lembra Maria de Jesus Candeias. Cabe aos pais estarem atentos aos sinais e ajudarem a criança a desenvolver confiança para enfrentar os seus medos com naturalidade, antes que evoluam para reações fóbicas. – Evite filmes, programas de televisão e jogos de computador que possam ser violentos e provocar medo, insegurança ou incompreensão. – Se ele recorre à cama dos pais, depois de um pesadelo, deve acalmá-lo e levá-lo de volta a cama dele, onde lhe deve dar alguns minutos de aconchego e conforto. Ler na praia, quem não gosta?!? À beira mar, sob o som das ondas, respirando a brisa marítima, e com um livro divertido para completar um dia perfeito de praia! A pensar nisso, a Sofia Baltazar Knapič deixou-nos sugestões de livros para levar na sacola da mamã e desfrutar de leituras animadas na praia. Faixa etária: dos 4 aos 6 anos. Com a publicação destes seis títulos, a ASA dá início ao relançamento, em Portugal, da simpática coelhinha Miffy, porventura a mais internacional de todas as personagens da literatura para a primeira infância. As imagens são reduzidas à sua essência, transformando-se em pictogramas reconhecíveis por todos em qualquer parte do mundo, e as cores utilizadas são exclusivamente cores primárias, atrativas até para os mais pequenos… As histórias são escritas em rima, também por aí se assegurando a atenção da criança, e os livros apresentam-se com capa dura e em formato quadrado, adequado ao intenso manuseamento pelas mãos irrequietas dos pequenos leitores. 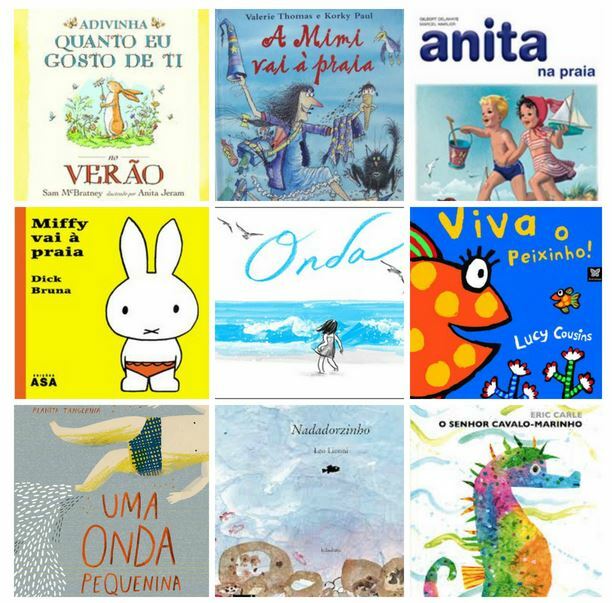 Os livros da Anita percorrem, desde há 50 anos, as mãos de todas as crianças portuguesas. Não há Avó que não se lembre da Anita, como não há neta que não deseje ler as histórias desta pequena criança desenhada desde sempre por Marcel Marlier. Na maior parte das famílias de peixes, depois de a mãe pôr os ovos e de o pai os fertelizar, ninguém fica de guarda aos ovos. Mas há excepções, como o cavalo-marinho, o peixe-espinho, a tilápia, o kurtus gulliveri, o peixe-cachimbo, o peixe-gato e outros quantos. Nesses casos, não só um dos progenitores fica a tomar conta dos ovos, com grande esmero, como – surpresa das surpresas – esse progenitor é o pai. Por estranho que pareça, isto é mesmo verdade: acontecem de facto coisas maravilhosas no fundo do mar. E esta é a história desta obra, através do ponto de vista e do percurso do Sr. Cavalo-Marinho. Dono de um estilo inconfundível, Eric Carle opta aqui por uma proposta que tem o seu maior relevo na utilização de folhas de acetato, intercaladas entre o espaço central das duplas páginas do livro, e que, sobrepondo-se sempre à página da direita, vão escondendo diferentes tipos de peixe. Essas folhas, coloridas com algas, corais ou rochas, cumprem assim uma importante função – a da camuflagem -, quer no desenrolar da história, pelo efeito de surpresa e descoberta que provocam no leitor; quer na própria transposição da história para a vida quotidiana dos animais: camuflados, eles podem efectivamente esconder-se dos predadores, e não só os peixes. Nadadorzinho de Leo Lionni Algures, num cantinho no mar, vivia um cardume de peixinhos. Todos eram vermelhos, excepto um deles, que era tão preto, como a casca de um mexilhão. Nadava mais depressa do que os seus irmãos e irmãs e o seu nome era Nadadorzinho. A história de Nadadorzinho, como todos os livros de Leo Lionni, convida a pensar e a aprender valiosas lições de vida. 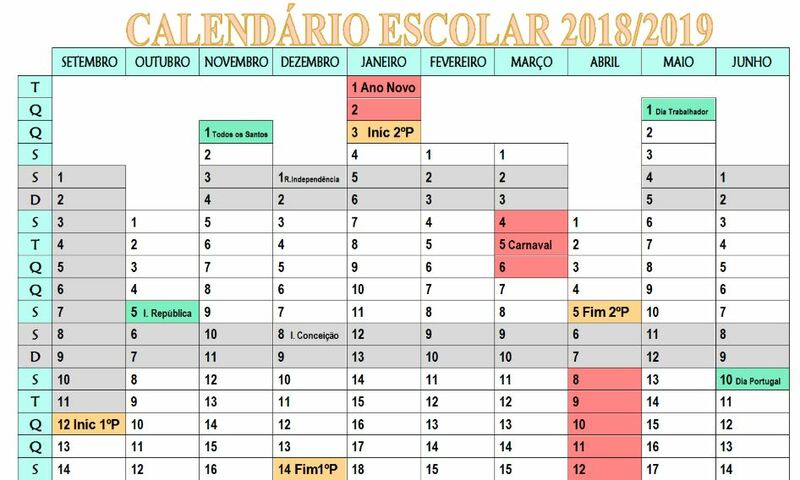 O valor da diferença e o respeito que se deve a quem -por cultura ou aspecto físico -não partilha das características comuns, reflecte-se nas primeiras páginas deste clássico da literatura infantil de todos os tempos. Um dia cheio de sol. Uma menina curiosa. 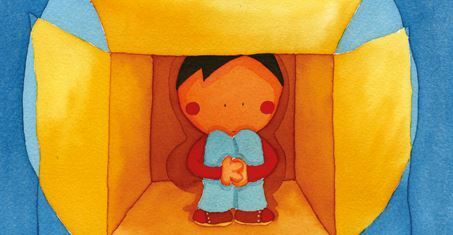 Uma onda brincalhona Apenas com estes três elementos, Suzy Lee criou este belíssimo livro em que as imagens puxam pelas palavras. E o texto surge espontaneamente na cabeça de cada leitor. Tudo tão simples, tudo tão belo! Sem palavras. Assim é contada a história em Onda, livro-imagem da jovem coreana Suzy Lee. Livro dos verões (e invernos) em diversos países, publicado originalmente nos Estados Unidos, já foi publicado em vários países pelo mundo. Ao todo, são 100 mil exemplares vendidos, em apenas um ano. Universal como o mar, as imagens relatam o primeiro encontro da menina com o mar. Com traços a carvão, Lee ilustrou em azul, preto e branco o ruído das águas, o bater de asas das gaivotas, o vento que balança o vestido da criança e a conversa silenciosa que se estabelece ao longo da narrativa. Porque cuida de todos os pormenores, a autora manuscreveu o título das edições estrangeiras, inclusive o da edição portuguesa.